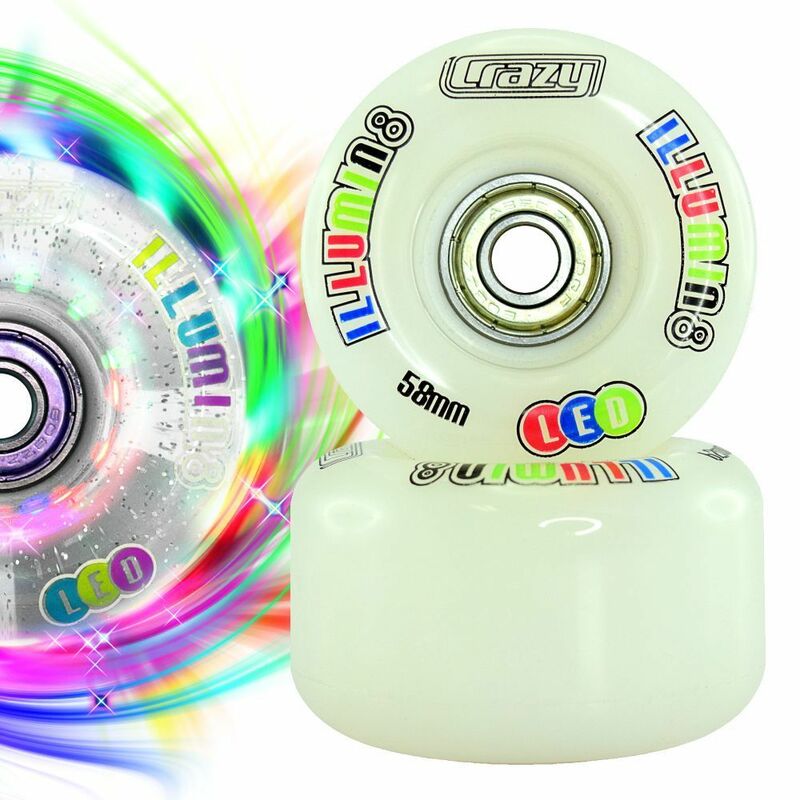 Set of 8 CRAZY iLLUMIN8 LED Light Up Wheels with abec 7 Bearings pre-installed! 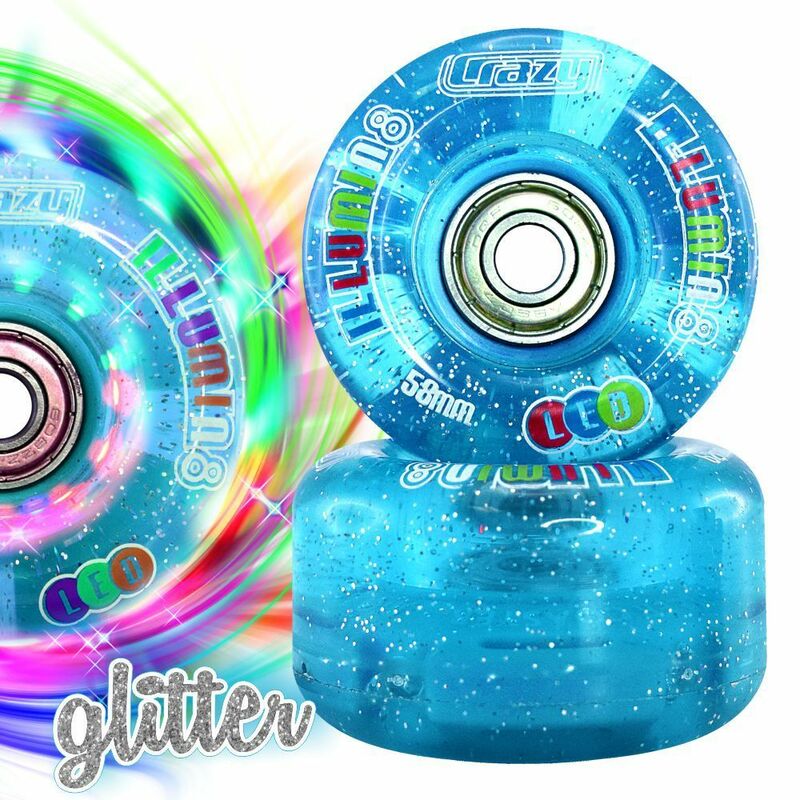 Coloured lights light up when the wheels spin - no batteries or other power source is required! Set of 8 quality made urethane 78A Durometer wheels with good grip good for indoor or outdoor Roller Skating surfaces. 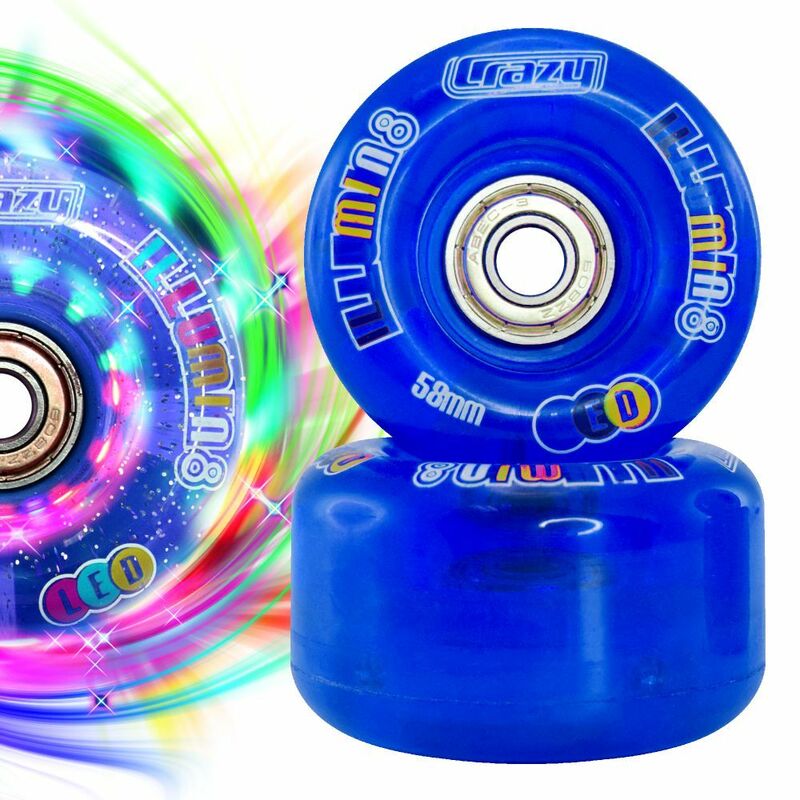 Coloured lights light up when the wheels spin - no batteries or other power source is required - they work by the spinning action of the wheels alone! 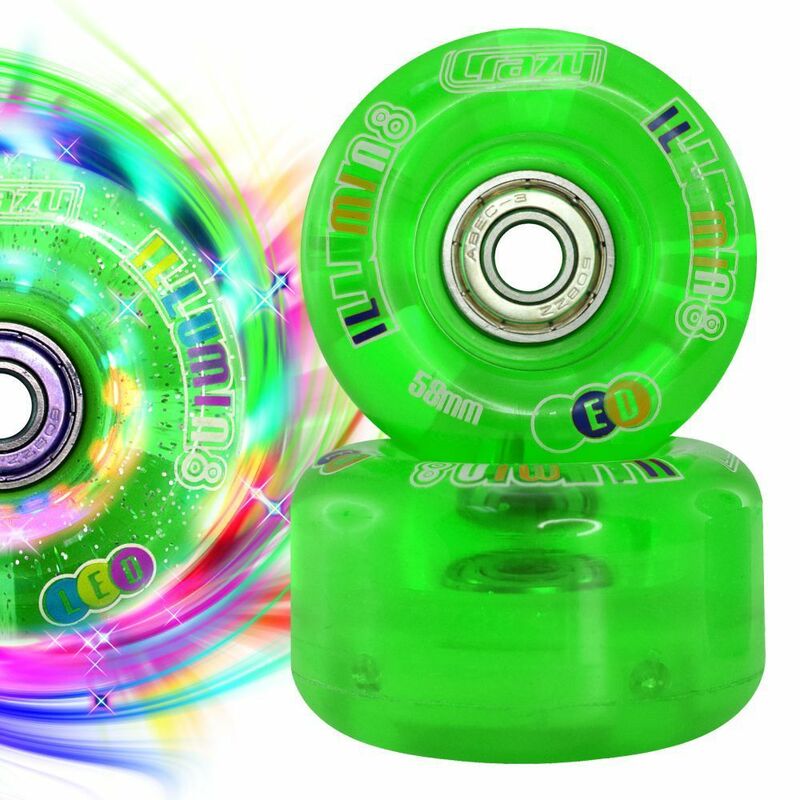 They come pre-installed with Abec 7 8mm bearings! 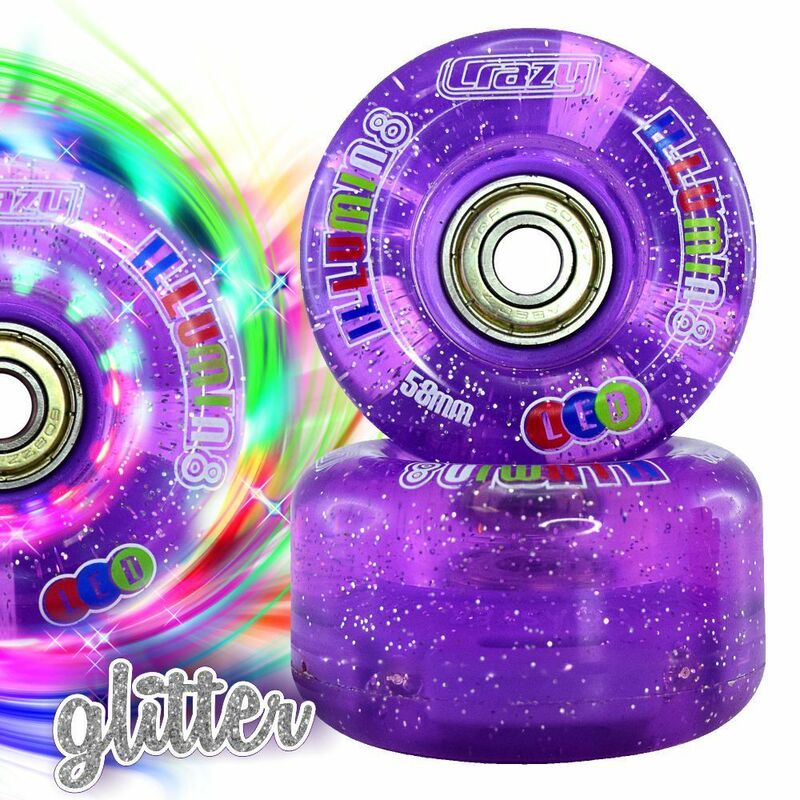 Choose from Availbal colours and Wheel sizes in the Pull-down Menu! 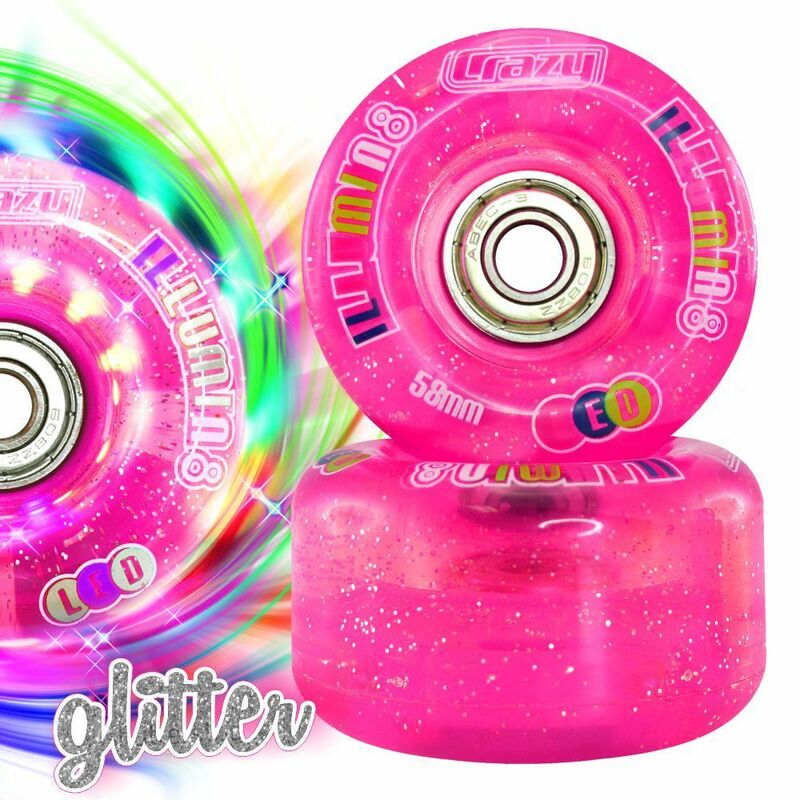 Sold in sets of 8 Ready to Roll!